If you have been searching for a new virtual private network provider, you might be interested in Kepard. 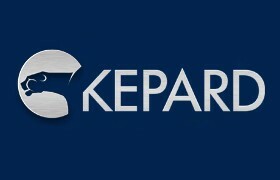 Kepard is a very new company for VPN; you will find that they have only been around for a few months as they were first created in 2012 so they are very much new. However, that should not hopefully put you off from using Kepard because they could actually turn out to be a fairly good company. The company is based in the Republic of Moldova and it does offer five different types of VPN but it does lack a money back guarantee which may be a little disappointing. However, the fact that there are no money back offers isn�t that terrible because the cover for one month�s VPN is only seven dollars which is very low anyway. So, let�s move onto the types of VPN that you can choose from. You will be able to choose from Dutch VPN, American VPN, British VPN, Canadian VPN and German VPN. So far, Kepard looks to be a fairly good company and it might be one that you will look for your VPN service. However, when it comes to Kepard, you are going to find that you can choose only one IP type and that is a Shared Dynamic. However, Kepard does not allow for options such as a Shared IP, a Shared Static and a Dedicated IP but having said all that, IP types isn�t the most important part of Kepard. Kepard can run with several types of operating systems including Windows 7, Windows, Mac OS X, Windows Vista and Linux. When it comes to portable devices, you will be allowed to run this with your Apple iPod, your Apple iPad and the Apple iPhone. However, you are also going to be able to run this with your Android devices and the iTouch device also.